An undated mug shot of Len Sumera posted on the website of radio station dzME; is killed on Thursday, March 24, 2011 in Malabon City in the Philippines. MANILA, Philippines (Mindanao Examiner / Mar. 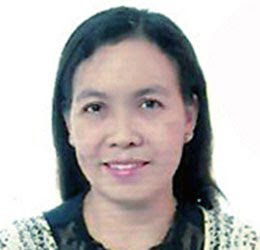 24, 2011) – A Filipino broadcaster was killed in a broad daylight attack Thursday while on her way to the radio station dzME in Malabon City. The radio station said Len Sumera was shot in the nape and the bullet exited through the eye. The 44-year victim had also worked in the past with radio stations dzXL and dzAR before moving to dzME where she hosted a program. Sumera was to report for her 10:30 a.m. program called “Arankada 1030” at dzME’s studio in Caloocan City when the attacker shot her at around 9:00 a.m. The radio station, which has been operating the past three decades, said the killing could be connected to a land conflict, but it did not give details about the motive of the attack which occurred near Sumera’s house. Just early this year, a lone gunman also killed a Filipino broadcaster Dr Gerardo Ortega in Palawan province. Ortega, who worked for the Radio Mindanao Network, was shot in the head in January as he was shopping for clothes at a thrift shop in Puerto Princesa City, police said. The gunman, Marlon de Camata, was captured as he tried to flee after the shooting and admitted he was contracted to kill the broadcaster because of his criticism of some politicians involved in illegal mining in Palawan.